While a wooden floor in your house translates to lower expenses on maintenance because of its durability, you cannot maintain its sleek appeal overtime if you do not sand it once in a while. This is because, over the course of our daily activities at home, our floors eventually receive a lot of dents, scratches, and stains. Instead of spending money finding a replacement or switching from a wooden floor to carpets, which can be very expensive, sanding becomes a cost-effective way for you to restore the beauty of your floor. Unfortunately, people often associate sanding with problems; pollution from particles being one of them. These notions usually stem from people having unqualified sanders sand their floor—there are bound to be mistakes in this case. 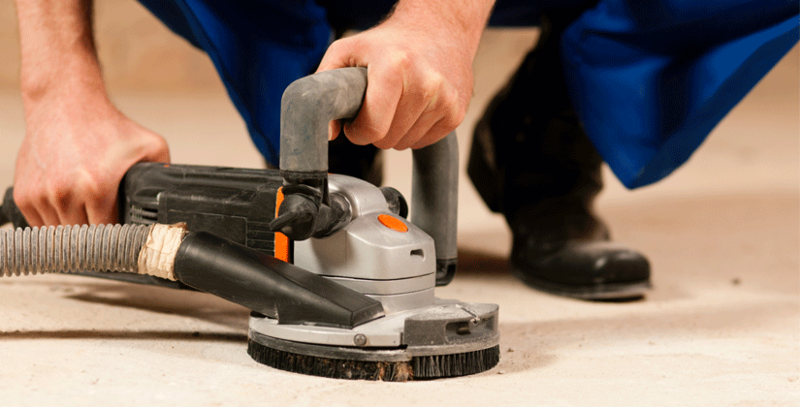 So if you are going to hire someone to sand your floor, hire a professional with modern equipment. Okay, that’s totally wrong. Every profession requires training in order to master, and the right equipment is needed to perfect the process. Notions like this stir up other misconceptions about floor sanding. You imagine it is easy, so you decide to do it yourself or call on an inexperienced neighbour to do it. You or your neighbour not only ruin your floor, but your home also. Do yourself a favour. Hire a professional sander and finisher. Probably. But what did you expect when you hired the guy next door who doesn’t have the right tools? Floor sanding, of course, creates an immense amount of dust. But that’s why modern sanders have vacuum bags—to collect most of the dust. Not only does a professional know how to sand, he also knows to minimise the escape of dust particles into your environment. This is all about your preference. Nobody can stop you from doing whichever one you want first. Of course, even a professional sander will leave some scuffs on the skirting. These can easily be touched up later. Floor finishes, on the other hand, take a while to cure, and walking on them, even while they are protected with tarps, can mess them up. It’s up to you to decide which one is easier to touch up. This is one of those misconceptions you hear and you can’t help but say, “No!”. Here is the deal. Don’t use a combination of sawdust and glue. Don’t use papier-mâché. These are wrong and outdated. Instead use a mix of resin and sawdust—they are much more efficient than ‘glue and sawdust’. Also, you can use solid wood fillet strips on pine or softwood floors. If you are looking for a more professional look, use acrylic mastic fillers—one matching the colour of the floor you want to fill.